Through a retained life estate (sometimes called a life interest or a life estate), you can give your personal residence, vacation home or farm to the Mission now, while retaining the right to live there for the rest of your life, or for a specified term of years. You may also provide for another individual to live in the home for the rest of his or her life. After your lifetime (or the other individual’s lifetime), the Mission will use or sell the property and use the proceeds as you have directed. Immediate Tax Savings – You can take an income tax charitable deduction for the property's current appraised value with an adjustment for your estimated retained interest. Future Tax Savings – The property is removed from your taxable estate. Leave a Legacy – Your gift will ensure our mission of serving the Lord for future generations. You donate your home, vacation home, or farmland while retaining the right to live there for the rest of your life. Then the Mission will receive the remainder interest after your lifetime. You can take an income tax charitable deduction for the current appraised value adjusted for your estimated life interest. You are responsible for the costs to maintain the property while it is still in your possession, such as insurance, taxes and necessary repairs. Once the Mission receives the property, they can sell it to fund important projects. John Jefferson has resided in his modest home on a four-acre lot for many years. He is very charitable and has supported many ministries over the years. He is now 80, and has secure retirement income, including mandatory distributions from his IRA, which are increasing. He plans to give to his favorite ministries through his estate plan but recently began considering accelerating this giving with regard to his residence. He is contemplating transferring the remainder interest in his home to charity and, in doing so, obtaining an immediate charitable deduction to offset his increased taxable income. With his IRA and other assets, he has substantial liquidity and will not need the value of the home for living expenses. John decides to deed the remainder interest in the home to his favorite charity. Under this arrangement, John can live in the home as long as he lives and afterward, the property would pass to his selected charity. Based upon his age, he receives a charitable deduction of approximately $200,000. This deduction is an appreciated-type deduction usable to 30% of adjusted gross income. Over a period of four or five years, depending on his income tax bracket, this charitable deduction could save approximately $50,000 in income taxes. The deduction is based on assumed values for the residence of $50,000 and for the land of $250,000. While it is unusual for such a modest residence to be on expensive land, John has lived on that property for many years and the property has appreciated significantly as development increased in the surrounding area. 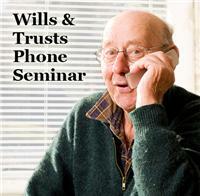 For assistance in creating a retained life estate or to explore your options (click here).